Scottie Pippen's Nike Air More Uptempo has received a resurgence in the sneaker world in the past year, with popular brands such as Supreme doing a collaboration with it. Pippen will be having his own PE of the sneaker release later this month. 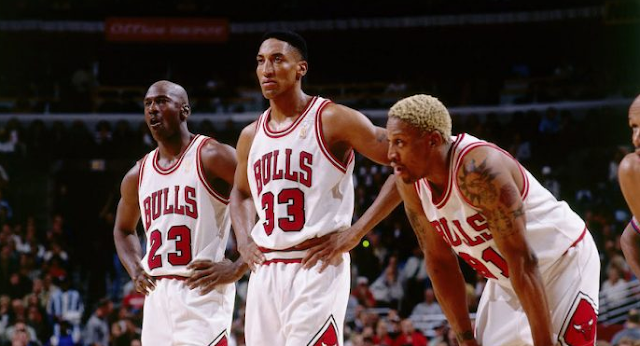 Pippen recently talked to Nike about the Uptempos, and was asked how it compared to Chicago Bulls teammates Michael Jordan's Air Jordan 11 and Dennis Rodman's Nike Ndestrukt. Looking back at that ’96 Bulls team, you had the Jordan 11 and the Shake Ndestrukt. What was the reaction to your shoe in the locker room? I think mine stood out a little more just because of what it said. It was kind of the graffiti basketball shoe — making a statement in real big letters. So it stood on its own. Hard to disagree, although many would say that the Jordan 11s are easily the best of the bunch. The Air Jordan 11 is one of the most iconic shoes ever, and many regard it as the best Jordan model ever.